Wormald safes are Australian made products that are highly regarded for their superior quality TDR safes in the 8000 series range. Our expert sales staff are divided. Some regard the 8000 series safe range as on par with the Chubb 6320 range and hence the most secure safes available in Australia. Others suggest it is widely renown that the 8000 series does not match any other safe but sets a totally new standard in physical protection for maximum risks - The best. The Wormald safes supplied by City Safes are fully refurbished to as new condition so that all these safes are offered with full new safe warranty - 5 years on safe body and 1 year on locks. If you are looking for a quality high security Australian made product for your security requirements - A Wormald safe could be the answer. Wormald also manufactured safes in the other TDR security levels as well as excellent security filing cabinets - 2 / 3 and 4 drawers. Contact our sales team and ask for Mark as his expertise in these quality safes will answer all your questions and ensure we supply the best product for your security requirements. 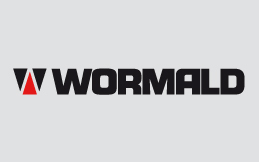 Please see below for Wormald products currently available. As reconditioned safe turn over extremely quickly it is advised to contact our office to confirm availability.